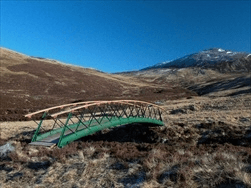 The community of Braemar is responsible for looking after Auchtavan and making sure that as many people as possible are are able to enjoy the breathtaking views from the settlement out over Glen Fearder towards Lochnagar and learn about a way of life that is now gone. The Board of Directors of Braemar Community Ltd manage Auchtavan on behalf of the village. Braemar Community Limited was set up in 2004 to undertake the development and operation of major projects on behalf of the community. 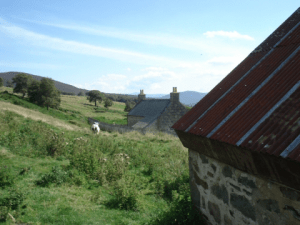 Auchtavan and the restoration of the hinging lum cottage and horse-mill was one of BCLs first projects. 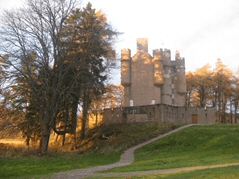 For the past 10 years, Braemar Castle has been operated and managed as a Visitor Attraction by BCL. The Castle was leased from Invercauld Estate in 2007 on a 50-year improving lease and is the main income generator for the community charity. At present all income is re-invested in the restoration of the Grade A listed building which needs in the region of £2 million invested in it to bring it up to standard for 21st century visitors. After the repairs, resporation and developments are complete profits will be re-invested in the community. Membership of Braemar Community Ltd is open to all living within the Braemar postcodes. Associate membership is open to anyone who has an interest in Braemar. The community are encouraged to suggest projects and to take the lead role in steering such projects. The company is managed by a Board of 7 Directors Simon Blackett, Alistair Hubbbard, Dave Chandler, Glenn Perkins, Rhi Turner, Aimi Blueman and Doreen Wood.